Having a baby is a life-changing event that is different for everyone. It can be both exciting and bewildering, with lots of questions and many choices to make. To support you to have a healthy start for you and your baby, it is important to arrange your antenatal booking appointment by the 10th week of your pregnancy. You can also call the Antenatal Booking Centre on 020 8401 3000 ext 4202 or by going to your GP who will refer you. We will aim to ensure that your first booking appointment is within two weeks. If you aren't already taking folic acid, please start as soon as possible to help your developing baby. If you want to find out more about our facilities and care, then come along to one of our Early Pregnancy evenings - held at 7pm on the first Wednesday of each month - at our Antenatal Clinic in the yellow zone. The closest parking is Car Park 2 which is right next to the maternity unit (green zone) where there is also a drop off zone. Just click on this map to the different zones within the hospital. When the time comes for you to have your baby, you want to be in a place where you feel comfortable, relaxed, confident and secure. You also want everything to go as smoothly as possible.Our midwives will be with you every step of the way, offering your help and advice throughout your pregnancy. 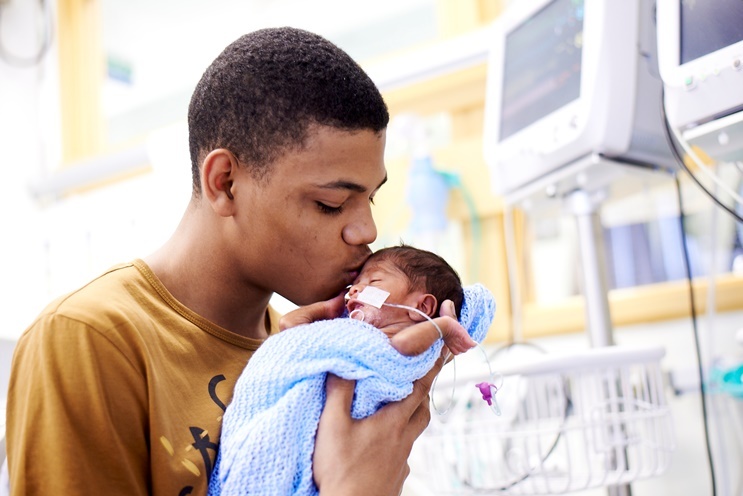 This film tells you more about the care we offer if you choose to have your baby with us. When you are ready to start planning for your pregnancy you can use the antenatal referral form above to book your first appointment with us, or ask your GP to do this for you. We receive regular feedback on our services from local mums as well as a range of health care regulators. Recently Emma thanked us for the excellent care she received throughout her pregnancy and labour and sent us this picture of her baby Arthur. She said: " Right from the word go everyone was amazing, booking in scans, rearranging dates etc no one could have been more helpful…. I developed complications during pregnant with gestational diabetes and then borderline pre-eclampsia. I was under the care of Boni (diabetic midwife) who is so passionate about her job made me feel like I was her only patient - how she ever makes it home I'll never know. Whenever there was an issue … she was always at the end of the phone or physically able to see me if needed. Nothing was too much trouble for anyone. '"I want to thank all of the staff of the Hope and Labour ward for looking after me and my little one before and after his delivery. You all did a very amazing job to keep us both well and healthy. Life as a new parent is rewarding and challenging - but you're not alone. We're here to support the whole family and give information and advice when you and your baby return home. Our short film tells you all you need to know. If you have had your baby in hospital, our midwives will look after you until you go home, and keep an eye on you and your baby for a little while. Once you’ve had your baby, one of our health visitors will be in touch to arrange a new birth visit when your baby is around two weeks of age. Your health visitor will stay with you until your child starts school, working with your GP to look after the health of you and your new baby. They can give advice on looking after your baby, feeding and any questions you may have about being a new mum. They’ll also let you know about the immunisations that are recommended for your baby, and make sure that your baby is developing as expected. See our health visiting page for more information about this service. Learning to be a parent is a new experience for everyone, but when you’re a teenager it can be especially challenging. We have a team dedicated to working with young parents, to make sure you get all of the help you need. When you choose to have your baby with us, you’ll receive more information about each of these stages, but if you have any questions ask your GP or contact us. Women who are expecting uncomplicated pregnancies and would like to give birth at home will receive the support of a dedicated midwife from the Crocus Team. Women with uncomplicated pregnancies who are expecting a straight-forward delivery but would prefer to be in a hospital environment can give birth in the Birth Centre. 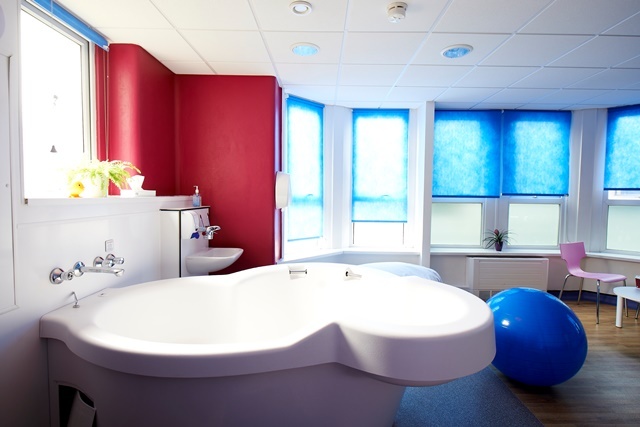 The centre provides midwife-led care in individual rooms, complete with bath or birthing pool, beanbags, subtle lighting and a home-like atmosphere. The centre has been recently refubished and is a relaxed and welcoming place to bring a new baby into the world. It is located close to other maternity facilities should a woman require additonal support during labour. The delivery suite caters for women who need additional support during birth. The eleven rooms have ensuite facilities, bright, fresh décor, with adjustable lighting, individual temperature control and comfort cooling, to allow all women to experience as normal labour and birth as possible in a calm and comfortable atmosphere. Each room has a computer so that midwives can update information immediately whilst maintaining patient confidentiality. 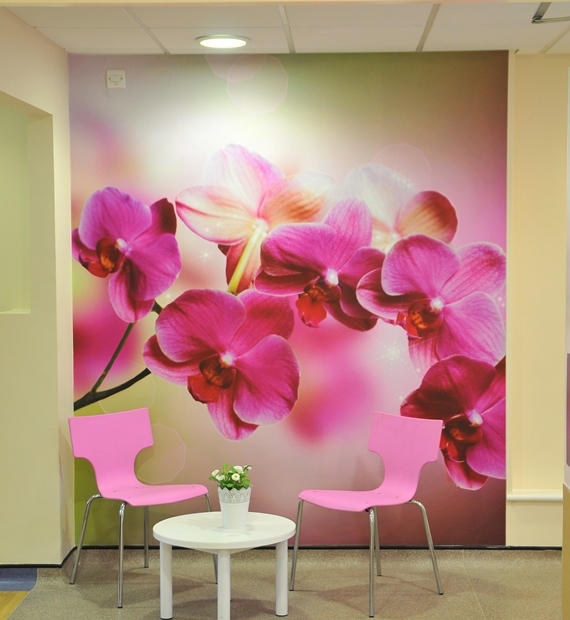 The service is happy to offer tours of the facilities to women and GPs. Additional information: Flowers in oasis floral foam. Additional information: Flowers in oasis floral foam only. Maximum two visitors at a time. Only mother’s own children to visit. Other children not allowed because newborn babies can be at risk from infections such as chicken pox, measles, etc. No other visitors allowed. Two visitors per patient. Additional information: Two people per family by the cot side. Only mother’s own children to visit. Other children not allowed as premature babies can be at risk from infections such as chickenpox, measles, etc. Midwives, obstetricians, nurses, health care assistants and our support team all work together to make sure you have the very best experience we can offer. The Antenatal unit is in the yellow zone and the Maternity Unit in the green zone. The closest parking to both is Car Park 2, which is right next to the Maternity Unit, where there is also a drop off zone. Only children of patients are allowed on the wards and only during normal visiting times. Your midwife should always be your first point of contact for discussions about your care. You may also choose to speak to our PALs and complaints team. Come to our antenatal classes - informative, fun and free. Antenatal classes at Croydon University Hospital (Informative, Fun and Free). Pregnancy is a very exciting time, but can be full of unanswered questions as you plan for the birth of your baby. 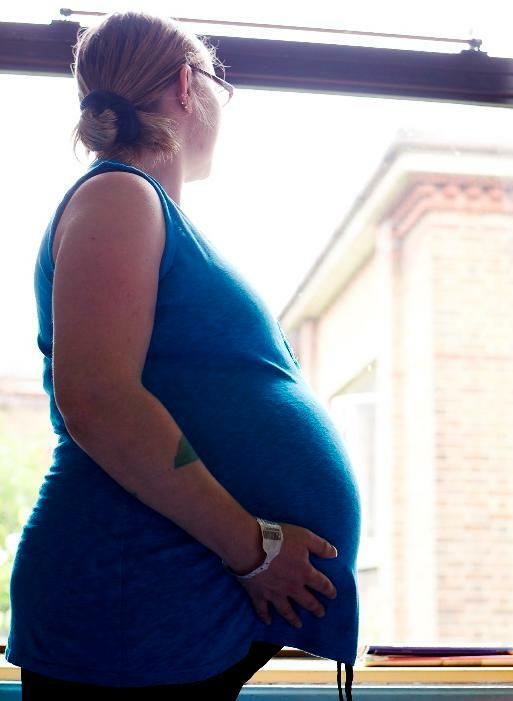 The Croydon University Hospital (CUH) Maternity Parent Education Team offers a wide choice of evidence based antenatal classes where you can ask questions and explore your options for birth and beyond, while meeting other expectant parents. You can also have a tour of our maternity unit (according to availability) and see some of CUH midwives. General antenatal classes run every Saturday from 10am to 4pm in antenatal clinic in the Parent Education room. The classes are by appointment only. Please let your midwife know after your second scan if you would like to attend the classes and, they will book you straight away. You will find the class more useful if you attend after 34 weeks of pregnancy. If you have any problem booking onto the classes please email ch-tr.croydonantenatalclasses@nhs.net. If you are a second time mum and do not wish to attend the classes but would like a tour of where you are going to have your baby, you can attend a drop in pregnancy information evening which is run every 1st Wednesday of the month 7pm to 8:30pm in antenatal clinic. We also offer special antenatal classes for young mothers 19 and under. These are “Monthly Birth Talks” on the Birth Centre, usually the last Thursday of the month from 12-2:30pm. Call Claire Sidley-Jenkins, Lead midwife for young parents if you need any further information on 020 8401 3000 ext 4660 / 07773 978 816 or visit “CUHYoungParents” on Facebook and Twitter. All classes are run at Croydon University Hospital. The address is 530 London Road, Croydon, CR7 7YE. Coffee and tea with snacks will be provided but please bring coins to pay for parking if you are driving. Bring your notes with you and come along you’re your birth partner. Croydon Maternity Voices Partnership (MVP) is a team of local women, men, midwives, doctors, health visitors, commissioners and other care professionals working together to review and contribute to the development and improvement of local maternity care Croydon MVP Meetings 2019. We encourage women and their partners to join the MVP and help shape the future of maternity services in Croydon with their ideas, participation and voices. You can be involved in the MVP via our bi-monthly MVP meetings, small break off groups or by gathering information on women’s experiences using our Walk The Patch questionnaire. All of which help us set and achieve goals as an MVP and support women’s expectations. Most women have normal labour and safe births – but if something doesn’t go according to plan then it’s reassuring to know that we have a team on-hand to help. Our maternity services are supported by experienced consultant obstetricians, anaesthetists and a first-rate special care baby unit. We also have a team of specialist paediatricians to look after your baby if they need on-going support. We work closely with neighbouring trusts, so if you need very specialist care that we can’t offer, we can quickly and safely get you to the service you need. In our team we have midwives with different areas of expertise, to ensure everyone has a safe birth. Your midwife should always be your first point of contact for discussions about your care. However, if you would like to speak with someone other than your own midwife, or you are concerned about any element of our service our Supervisors of Midwives are be happy to help.